Create and monitor budgers for special events and projects. Is there a better alternative to Budgeteer? Is Budgeteer really the best app in Personal Finance category? Will Budgeteer work good on macOS 10.13.4? 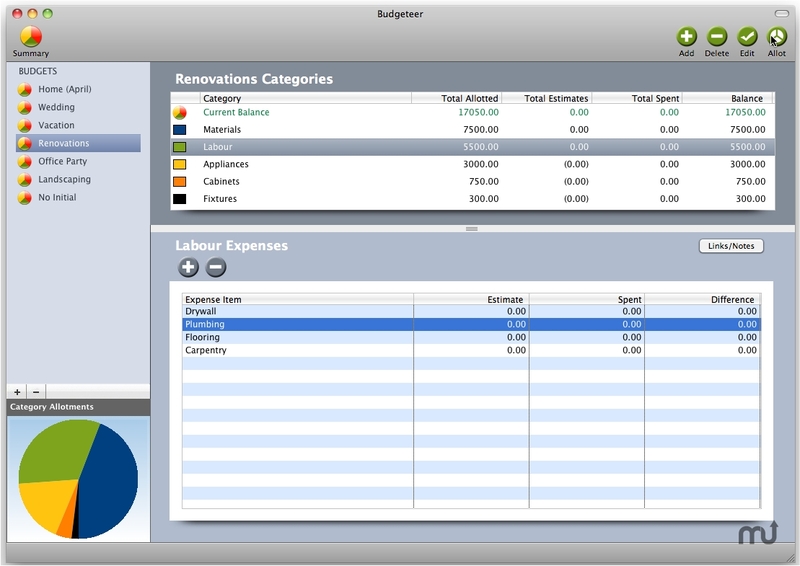 Budgeteer allows you to create and monitor budgets for special events and projects. It is perfect for planning budgets for events like weddings, reunions, company events, vacations, moving, etc. Creating budgets for projects such as home renovations, landscaping, restorations, building project, etc. is easy and intuitive. With Budgeteer you can estimate expenses, allocate funds to spending categories, link files to budgets, and keep notes for each individual budget. Budgeteer needs a review. Be the first to review this app and get the discussion started! Budgeteer needs a rating. Be the first to rate this app and get the discussion started!